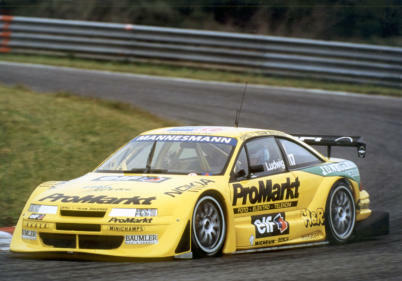 In 1992 new Opel motorsport director Walter Treser withdrew the Opel Omega from the DTM (Grman Touring Car Championship) while a new car was built to the 1993 regulations, this car was the Calibra. The new regulations no longer provided for a racing series with multiple classes, but a uniform displacement of 2.5 liters and a maximum of 6 cylinders, Four-wheel drive was also allowed. The old "law" of homoligation of 500 cars to be sold in twelve months was abandoned. It was allowed to take up any mass produced model with a matching engine from the manufacture. The Calibra with all-wheel drive and a V6 naturally aspirated engine was not ready for the 1993 but Opel put the car in on a trial basis at the last race the 1993 season in Hockenheim with the renowned Joest a team who had been successfull in the Group C sports cars. The drivers were Le Mans winner Manuel Reuter and the Formula 1 world champion Keke Rosberg. 1993 Season. Test at the race in Hockenheim The performance of the new Calibra gave Manuel Reuter fifth place on the grid in qualifying, with Rosberg coming seventh in the first race. However, in the second race both cars failed finish due to electronic problems. 1994 Season. The most important innovation on the car was the engine that Cosworth built, which proved to be very reliable; because until the middle of the season there was no engine failure’s at Opel. 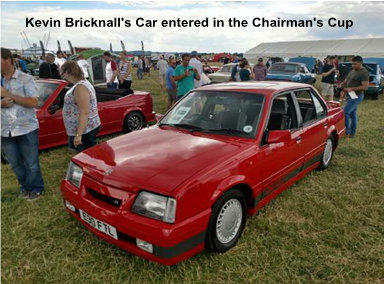 Officially this unit, however, was not referred to as "Cosworth", but as "Phase 3". The Team Joest entered the season with three vehicles, the drivers were initially Manuel Reuter and Keke Rosberg; newly came the Bremen merchant Louis Krages with the pseudonym "John Winter" to follow. However, the car failed repeatedly to technical issues. In the race at the Berlin Avus John Winters Calibra went off at a fierce speed into the guardrail’s and burst into flames, Winter was unhurt. The first Calibra victory came under curious circumstances. In British race at Donington Park an invitation race was held, that did not count in for political reasons towards the DTM standings. In the first of two runs Manuel Reuter pushed his manager and team-mate Rosberg off the track. After the race, the winner Alfa -Pilot Alessandro Nannini was disqualified due to the mandatory fuel sample failing scrutineering and Reuter was first. 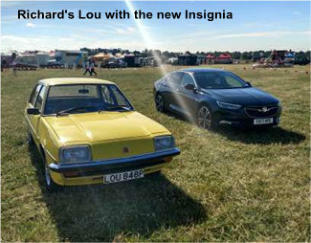 Opel had fallen far short of expectations, due to recurring problems with the brakes and other technical difficulties. There remained some "initial successes". 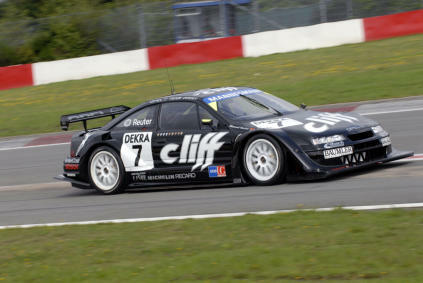 Manuel Reuter as the best Opel pilot with a win (not counted in the championship) and eighth place and 89 points could create respect in the new DTM, despite the still immature Calibra. Keke Rosberg season was average, but showed in testing with good times and a third place at Hockenheim to what the Calibra was capable and came up with 27 points at the end of the season in 14th place Louis Krages alias "John Winter" took eleven points and was ranked 16th 1995 season Reorganization of the teams For the new season Walter Treser distributed new cars in two teams, Team Joest and the newly formed Team Rosberg from Neustadt an der Weinstraße. Rosberg acted as driver and team owner. 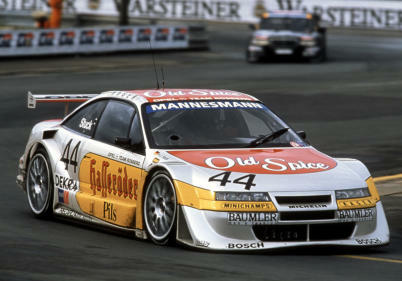 The Second Rosberg Calibra was driven by Klaus Ludwig after a spectacular change from Mercedes-Benz to Opel. The Joest team put four cars out with drivers Manuel Reuter, the Finn JJ Lehto, the Frenchman Yannick Dalmas and the Portuguese Ni Amorim. The testing periods for drivers have been promising, but mostly followed failures in the race due to technical problems. Only towards the end of the season came the long-awaited breakthrough. Klaus Ludwig won both races at Hockenheim and Manuel Reuter drove to second place to give Opel first one two victory. Record season '95 What was new in the season that also included races abroad. Therefore, there was the new name DTM / ITC (International Touring Car Championship. The "phase 4" -Calibra - the official name - was a completely new design with technical and electronic parts from various suppliers, including one from Williams F1 which was the hydraulic system. But time and technicians and mechanics keep hindering the cars mainly to the fact the teams were not familiar with the complicated technology. 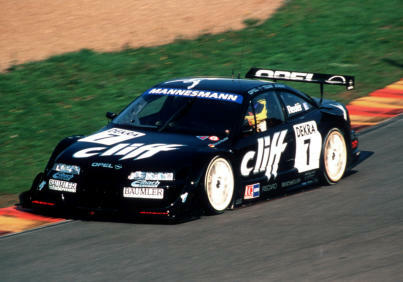 Manuel Reuter began the season with the old Phase 3 Calibra and almost all existing records broke. Klaus Ludwig: One of the outstanding riders in the DTM and Opel 1995, Klaus Ludwig. With his victory at Hockenheim, proved the performance of the Calibra and came up with a total of 80 points in the DTM standings to third place. In the ITC (International Touring Car Championship), however, he had to admit defeat to Manuel Reuter. Manuel Reuter: Made it with a total of 39 points in 12th place in the DTM. International he could get 50 points and achieved 5th place in the ITC. JJ Lehto: After Reuter in the ITC / DTM's he was the third best Opel driver, and took third place at his home race in Helsinki. Yannick Dalmas: Dalmas came in the DTM with Rosberg and 18th place with 17 points each. Internationally, he made it to number 16 with 15 points. Keke Rosberg: After establishing his own team, he was the worst Opel drivers and fell short of expectations. He drove in the DTM finale in his last race and retired from the world of motorsport. 1996 season The end of Class 1 At Opel Walter Treser was replaced by Wolfgang-Peter Flohr as head of motorsport, he reinforced the troops again to win the title. 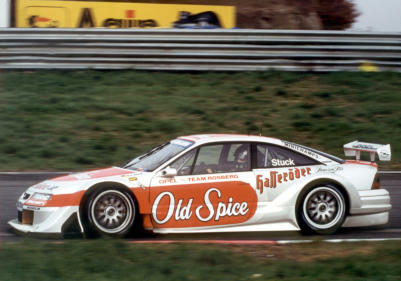 Team Zakspeed came on board and sat Klaus Ludwig next to the newcomer Uwe Alzen. For Team Rosberg now drove Hans-Joachim Stuck and JJ Lehto. In Joest still drove Manuel Reuter, beside him Yannick Dalmas, young drivers Alexander Wurz and British driver Oliver Gavin. In addition, continued Gianni Giudici a privately run 1995 Calibra. However, the cost of participation in the DTM was getting always higher and higher and Alfa Romeo and Opel announced its withdrawal at the end of the season. The dominant car 1996 During the winter break, Opel had improved its vehicles and set some high standards for the 1996 season. From the beginning, Manuel Reuter proved Opel driver number one. But the other Opel drivers convinced with good performances. In Helsinki Opel drove a dominant race. In both races occupied Opel drivers Place one to three. At the Norisring is like playing from. Ludwig won both races ahead of Alzen and Lehto. After Reuter a victory at Hockenheim and at the Eifel race was won, he was set early on tactical driving and collecting points. At the last race in Germany he won again, before settling in São Paulo was secured the championship title. After a strong season Opel won the drivers title and the Manufacturers' Championship. Manuel Reuter won with three wins and a total of 218 points and the title ahead of Mercedes driver Bernd Schneider with 205 points. After the victory at Hockenheim Reuter held his Calibra on the start-finish line, so he could celebrate the victory, and had it pay a fine for doing so. JJ Lehto drove in the championship in fifth place with 148 points. At the Nürburgring, in Helsinki, at the Norisring, in Silverstone and Magny-Cours he was each of the top three. Klaus Ludwig came with four wins and 170 points in seventh place in the championship. Hans-Joachim Stuck was a victory and 112 points in ninth. Uwe Alzen reached eighth place with 119 points. Alexander Wurz took 43 points and was 16. Yannick Dalmas came with 18 points to rank 17th. Oliver Gavin, a young and still inexperienced driver, came 22nd place with 16 points. 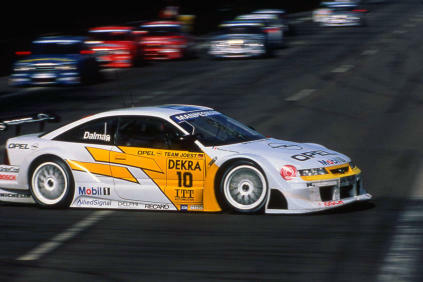 The Opel Calibra DTM Team. Inside the car and the engine. Keke Rosbery and Klaus Ludwig. Hans-Joachim Stuck and Manual Reuter. Klaus Ledwig and Han-Joachim Stuck. Manuel Reuter and Yannick Dalmas.